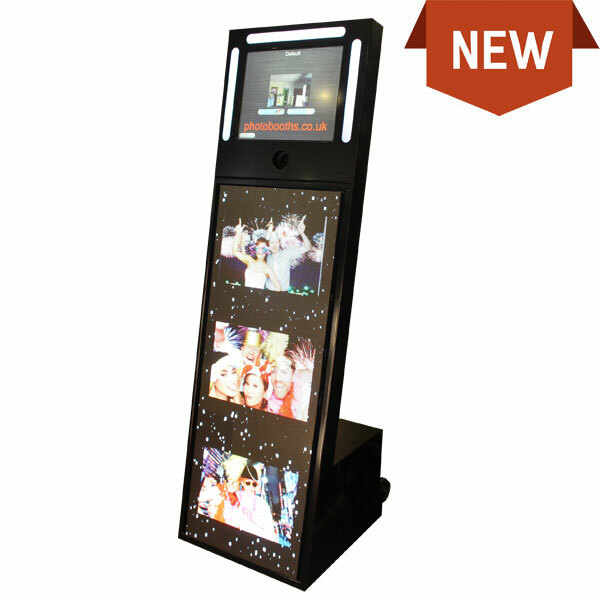 The new LED SteelPod Pro is Photobooths’ latest photo station, hand crafted from a unique fold away steel design, with solid enclosed compartments for all electrical equipment. It also has mounted wheels so that it’s incredibly easy to transport. Illuminated by a large digital display LED panel, the LED SteelPod Pro can display photos from your events, visual effects or even display advertising opportunities. In fact any photo or video can be displayed on the LED display. Guests using the LED SteelPod Pro can capture landscape selfies using the DSLR camera, get instant prints using the enclosed photo catcher, or otherwise upload their pictures to Facebook or share on email.